This is my first blog so bear with me. I’m a technical illustrator but my true love is fine art. I hope to share my painting and drawing experiences with you through this blog. I’ll be showing whatever work I’m doing and describing the context as often as I can. I spent part of the weekend painting in Berger, MO at the first annual Bethany Springs Farm Paint-out. Follow this link for more information about the farm and the event. There was a wonderful group of plein air painters and artisans at this event. The scene was a farm whose owners have dedicated themselves in part to saving Missouri prairie flora and fauna. Here is my work from Saturday’s paint-out. 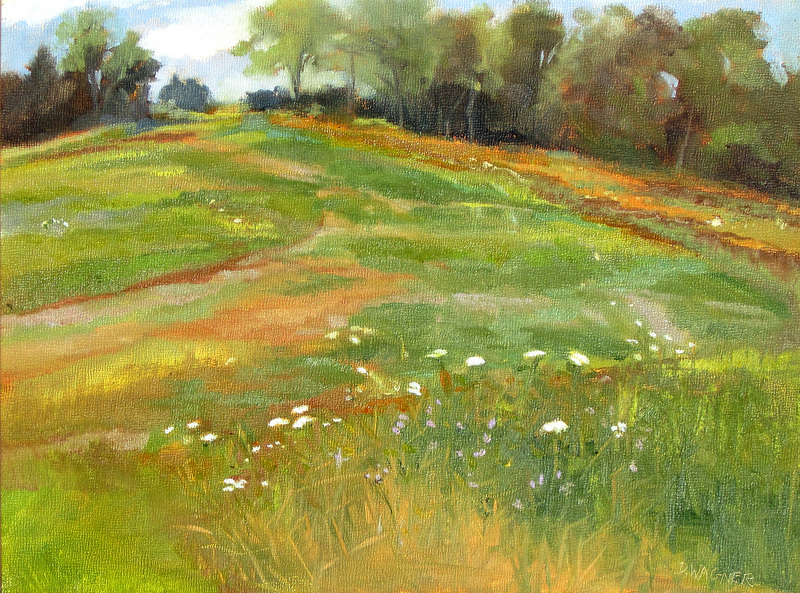 This entry was posted in Uncategorized and tagged dwagnerart, missouri prairie, plein air. Bookmark the permalink. Hi Dawn, Nice blog. I look forward to seeing more. Thanks for your comment on mine, too. Tried to find you on Facebook. Are you on there? Hi Linda – yes finally. I have a link at the bottom of the page. hope you will check me out from time to time. I enjoy seeing your progress! Beautiful and gutsy work.